The new ContiPressureCheck system continuously measures the pressure and temperature of all tyres on your vehicle - even when you are driving. This helps to save fuel and increase mileage. It also significantly reduces the risk of tyre failure, whilst maintaining the value of the casing, and thus the retreadability. 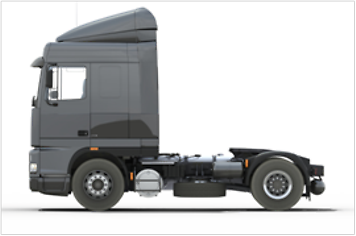 * savings based on 4 x 2 tractor with three-axle semi-trailer driving 140,000 km per year (assumed price of diesel: 1 € / l), including estimated costs (approx: 700 €) for one tyre-related breakdown. ContiPressureCheck is quick and easy to install. Mounting inside the tyre guarantees high data accuracy. ContiPressureCheck is compatible with all tyre brands. Driving with the correct air pressure can lead to significant fuel savings, increased mileage and maintain the value of the tyre casing, thus making your fleet more economical. 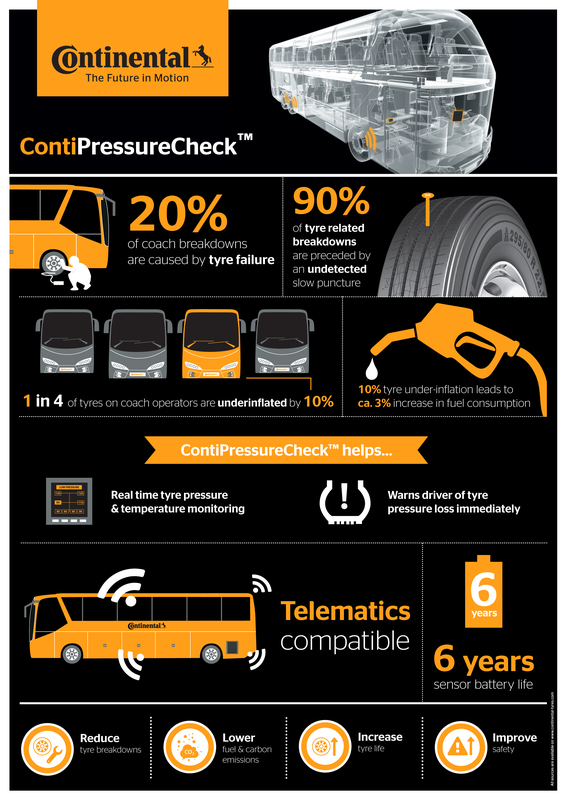 The ContiPressureCheck system helps prevent tyre-related breakdowns that can lead to costly downtime, late fines, negative publicity, danger to other road users and loss of sales or profits. Running the correct inflation pressure lowers fuel consumption, reduces tyre wear, decreases CO2 emissions and consequently protects the environment. Until recognized by ATL, all unknown sensors with very low pressure in the vicinity of the CCU will be reported to the driver. The system covers almost all combinations of fitment, from single axle trailer to six axle vehicle configurations with a maximum of 24 tyres. It is suitable for tractors, trailers, tractor/trailer combinations, as well as buses and coaches. Only the tyre sizes below are permitted. Additionally, the speed index must be M or lower. 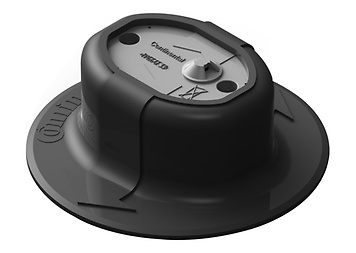 All tyre sensors are mounted on the tyre inner liner inside a rubber housing (tyre sensor container) and continuously measure the tyre pressure and temperature. 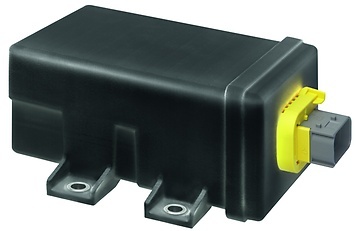 The additional receiver can be used to receive sensor signals in challenging radio frequency conditions. 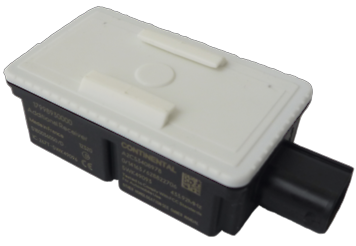 The CCU receives tyre sensor signals directly or via the additional receiver, evaluates the data and provides the status of all tyres to the display or the telematic systems. 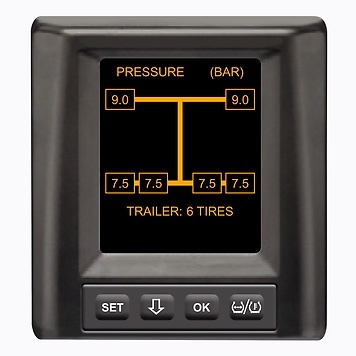 Fixed inside the cab, the display shows the tyre pressures and temperatures warns the driver in the event of pressure loss.